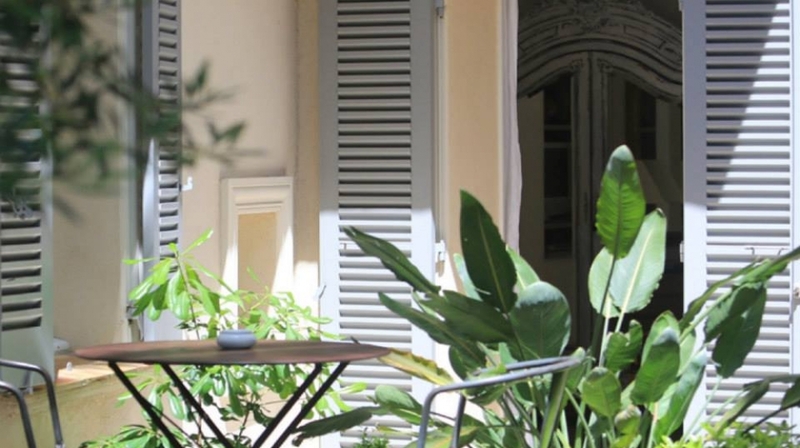 With a beautiful private garden, century old palm trees and heated �zen-like� dark green pool, Pastis Hotel is an oasis of calm where you�d least expect it. This gloriously stylish hotel is the perfect bolthole for those seeking the best of both holiday worlds. Spend lazy days relaxing in the dappled shade by the pool, where privacy is a key ingredient and when the mood takes you, the buzz of St Tropez with captivating markets, beach and quayside yachts is close by. The interiors are simply divine with cool stone floors, crisp white walls and stunning artwork at every turn. The owners make you feel at home from the moment you arrive and there's a real sense of 'arrive as guests and leave as friends' about this place. The rooms are stunning and every little detail has been carefully thought out and there's a private terrace, perfect for sundowners. This is a seriously stylish escape for romantic getaways, honeymoons and those looking to recharge their batteries in a fabulous setting. 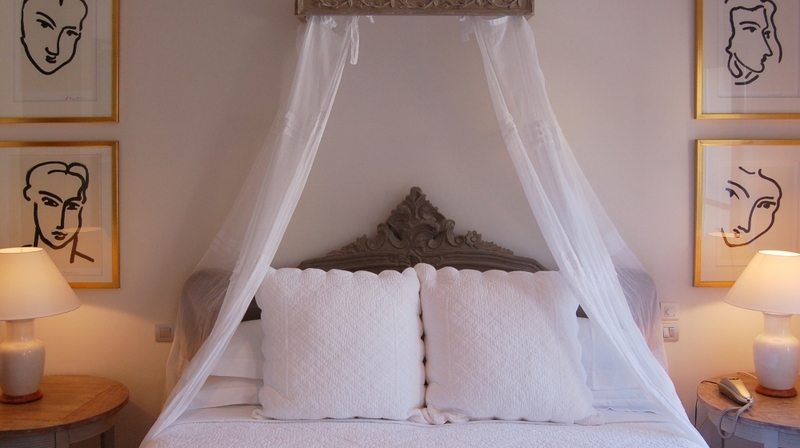 PASTIS has 10 charming guest rooms, decorated with a light and airy touch and equipped with everything you need to feel at home. 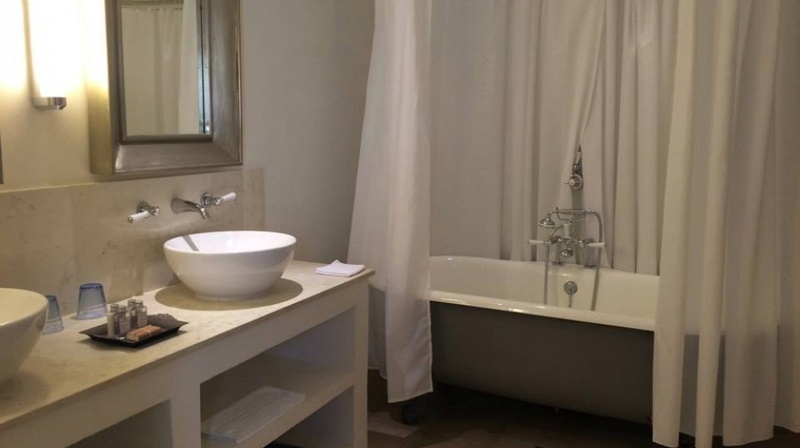 Superb beds, spacious bathrooms, luxury linen and towels. Rich in visual interest. 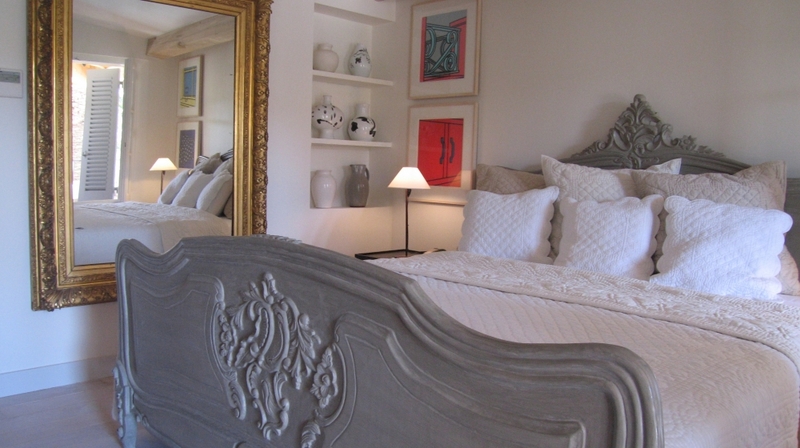 The furnishings are an eclectic mix of modern classics, antiques. 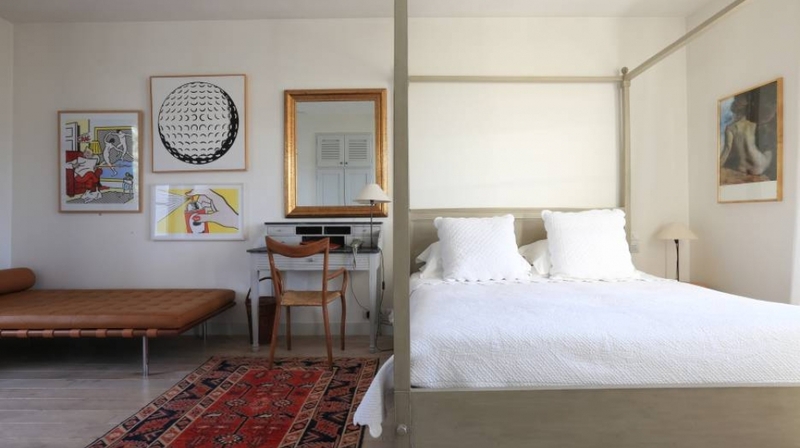 Provencal Armoires, chinese cupboards, colourful Kilims hand made carpets, bleached oak floors and 20th century art and photography. 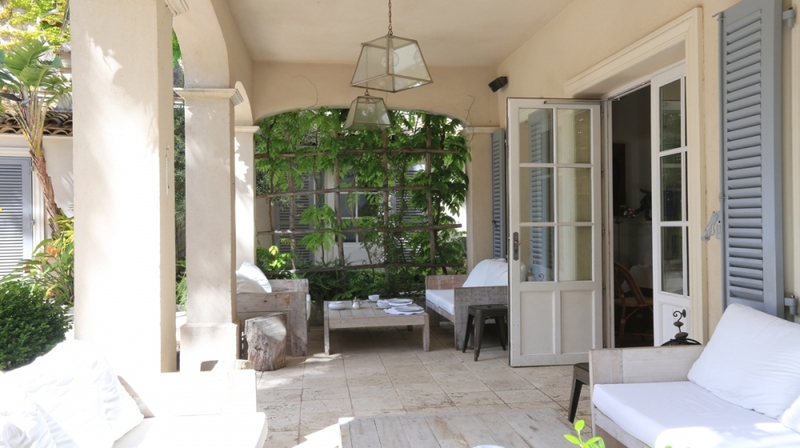 Each room has it's own outside space, a terrace, patio or balcony. The three largest rooms have sea and pool views, These are on the roadside of the hotel while all other rooms overlook the pool and garden. All rooms are double or triple glazed and have both air conditioning and traditional fans. Equiped with TV, DVD, WiFi, safe, hairdryer, minibar, kettle, tea and coffee. The bathrooms all have double sinks and large bathtubs with powerful overhead showers, except one room which boasts a unique copper bath with hand shower only. Room 4 is considered the most romantic. While Room 10 is the most spacious and would be called a Junior Suite in many hotels. If you have children then go for room 7 as it can sleep up to 4. Excluding Rooms 6 and 7, all have sea views. The hotel also provides free WiFi internet throughout the guest rooms. fax/photocopying. Irons and ironing boards available on request. Pool and beach towels provided. Buckets and spades for children. The garden: Is a secret oasis of calm. A relaxing place to enjoy soaking up the sun, read a book in the shade of the palms or take a dip in the pool. There is also a place to play boules (or Petanque) with friends. We can teach you the rules, provide the boules and the Pastis for you to experience an authentic local pass time. Piscine: Surrounded by ancient palm trees, our dark green zen-like pool is perfect for exercise, serious laps or just lazing around. A relaxing day by the pool makes a nice change from the bustle of the beach. Enjoy refreshing iced drinks by the pool and if you're hungry explore our tasty light lunch menu served on the terrace. 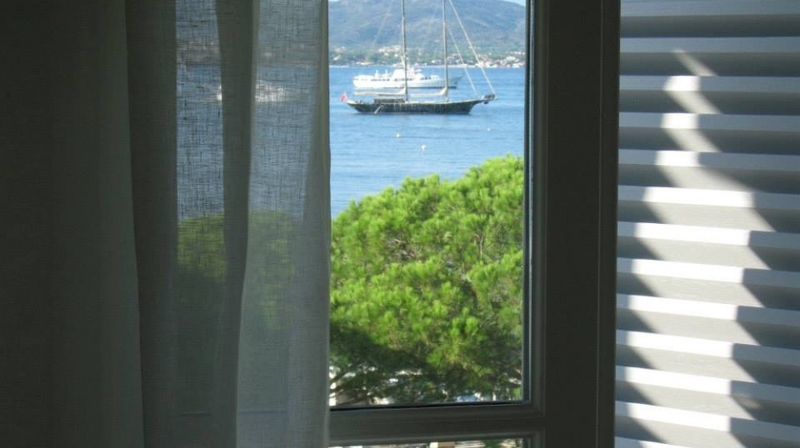 St Tropez offers the glamour and glitz of people - watching. Super yachts in the harbour, stars of stage and screen at the beaches. Famous faces from the music world, sports stars, artists, designers and fashionista's there's plenty to see. Painters, artists and writers came to the Cote d'Azur to enjoy the light and true colours of the south. L'Annonciade museum has a wonderful collection of pointillist, Nabis and Fauvist paintings including works by Paul Signac, Cross, Matisse, Derain, Marquet. 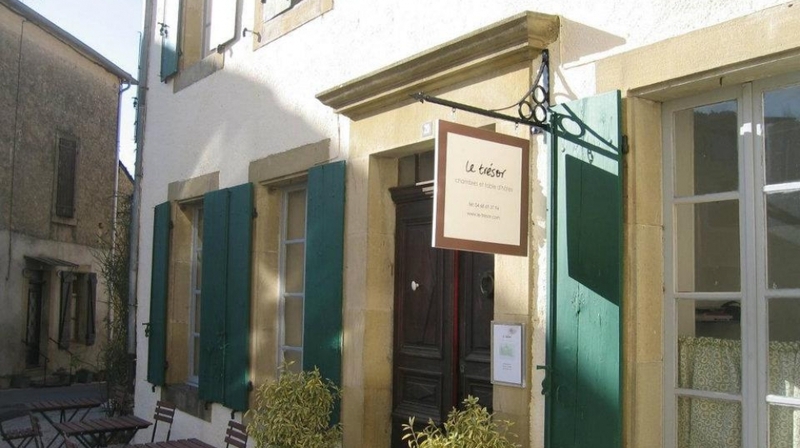 Dany Lartigue, son of the famous photographer Jacques-Henri Lartigue, has created one of the best butterfly museums in the world in a little village house, once his family home. 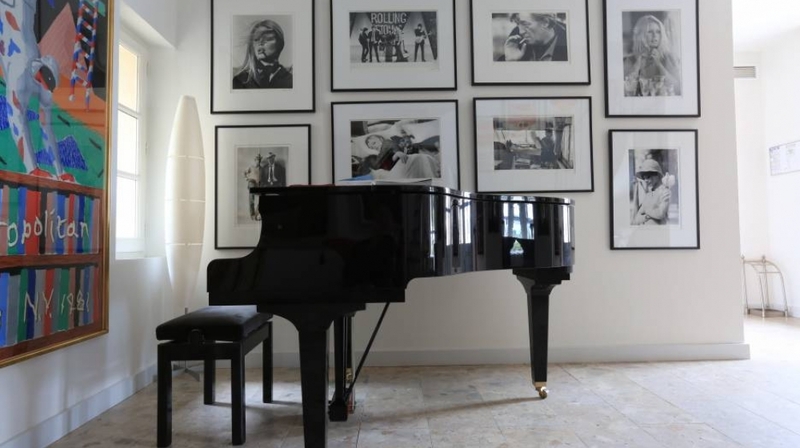 Also, the Museum of Cinema is due to open in the old GENDARMERIE 'famous in France as the film location for the sit com TV series, "Les Gendarmes de St Tropez"
Cinema made St Tropez famous when the film "And God created Woman" starring Brigitte Bardot was filmed here. There is plenty of sport to enjoy, too. Paddle boarding is proving to be very popular and there are water sports centres both near here and in the bay of Pampelonne just a 15 minute drive away. Golf courses, horse riding, endless hiking trails, the polo club, tennis courts and bicycles for hire are also not far away. 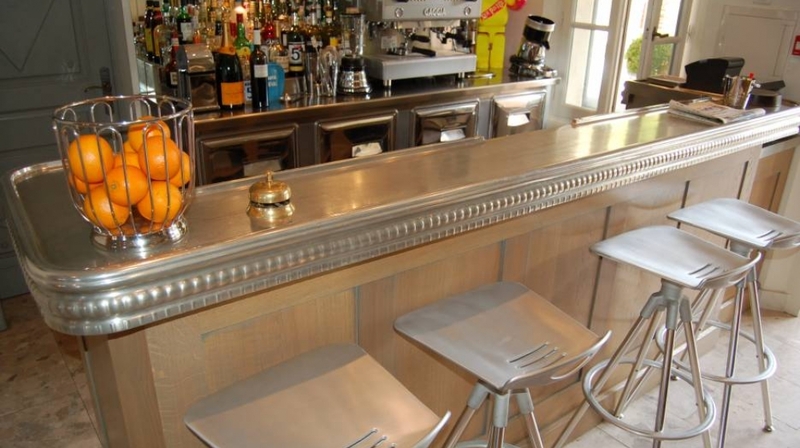 Pastis has no restaurant but we do serve breakfast and light lunches in the bar or on the terrace. Everything is made to order using only the best fresh ingredients. Freshly squeezed orange juice, freshly ground Illy coffee, any way you like it made with our super Gaggia machine. Delicious ham, cheese, bacon, smoked salmon and free range eggs. Hand made bread and croissants from the local bakery. and organic jams and Rosemary honey made by artisans in the North of France. Our signature breakfast dish is the Pastis omelette made with ham, cheese and herbs (chopped parsley and chives) and our two most popular light lunches are the Tomato, Avacado and Mozzarella salad. and the Melon with Jambon Cru. Simple, but they look good and taste great. So, when it comes to eating out, we make it our business to help you choose the right restaurant to suite your taste and occasion. Whether it's lunch at the beach or dinner in town there is plenty of choice. If you want somewhere informal, a lively restaurant with music and entertainment or a fine dining experience, we can make suggestions and help you to choose and reserve your tables for you. For high season it is advisable to book your restaurants well in advance. Talk to us about this and we can help you plan long before you arrive. And when you're here, if you wish to stay "home" for the evening we can always order something in and serve it in the bar or on the terrace. Bar / Lounge: The Zinc bar and lounge terrace offer views of the garden and pool. The perfect place to relax with a cool glass of local Rose wine or a cocktail or two before dinner. A refreshing "Margarita" after a day at the beach or even a 'Bloody Mary" for breakfast if you like. The bar is always open. The mood is relaxed with music changing throughout the day from mellow sounds in the morning moving on to cheerful lounge music and cool jazz in the evenings. Sunbathing. The pool has sun all day and the Palm trees give shade if needed. There are also umbrellas on the terrace. Additional beds: �100.00 per person or � 50 for a child under 14 years per day Child cot: Free of charge. Extra beds and cots can only be provided in certain guest rooms and must be requested in advance. All reservations must be guaranteed by credit card at time of booking and a deposit of 1 night stay or 50% of the entire stay if longer will be charged to the card before the reservation is confirmed. except in special circumstances when requested in advance. St Tropez has a party reputation, so we cannot guarantee a completely quiet room. Sea view rooms are on the roadside of the building. Rooms in the garden are quieter than in the main house. You must cancel no later than 30 days prior to your arrival date for the refundable half of your deposit to be returned to your credit card. After that date you will loose all your deposit. 30 days in advance of your arrival we will take the balance of your stay from your credit card. This payment will be non refundable. You must cancel no later than 14 days prior to arrival for the refundable half of your deposit to be returned to your credit card. After that date you will lose all your deposit. By Train: There are direct fast trains from Paris to Saint Raphael. This is the nearest station to St Tropez. (38 km).